ORDER YOURS BEFORE WE'RE SOLD OUT! We're swooning for our latest faux suede low heel boot that's just in time for winter! 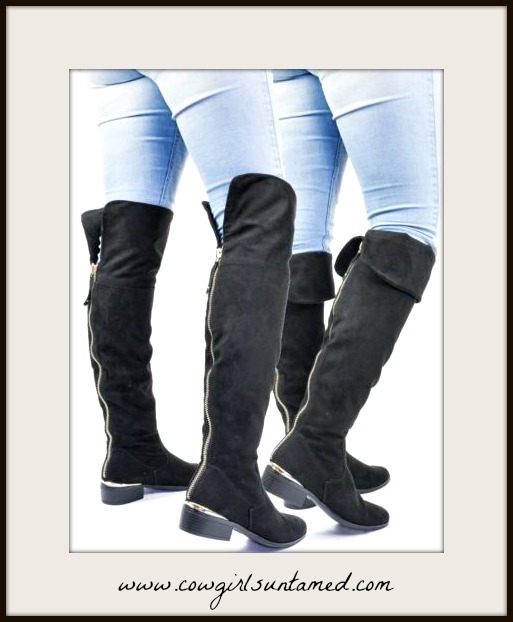 This cold weather black boot will elevate any and all of your ensembles and looks perfect with other natural hues! 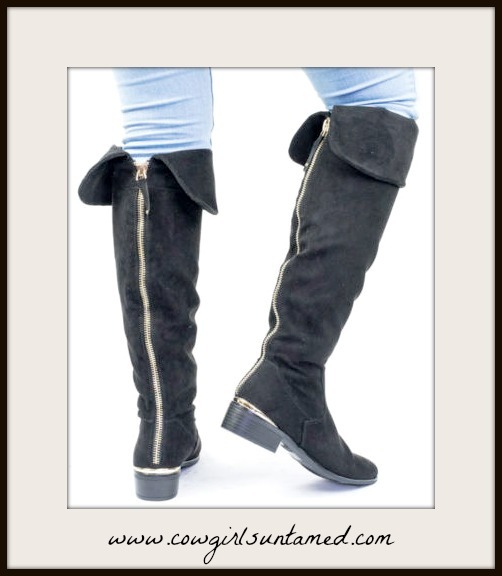 It can be worn with top hemline folded to a knee high boot, or keep it unfolded for an over the knee look! 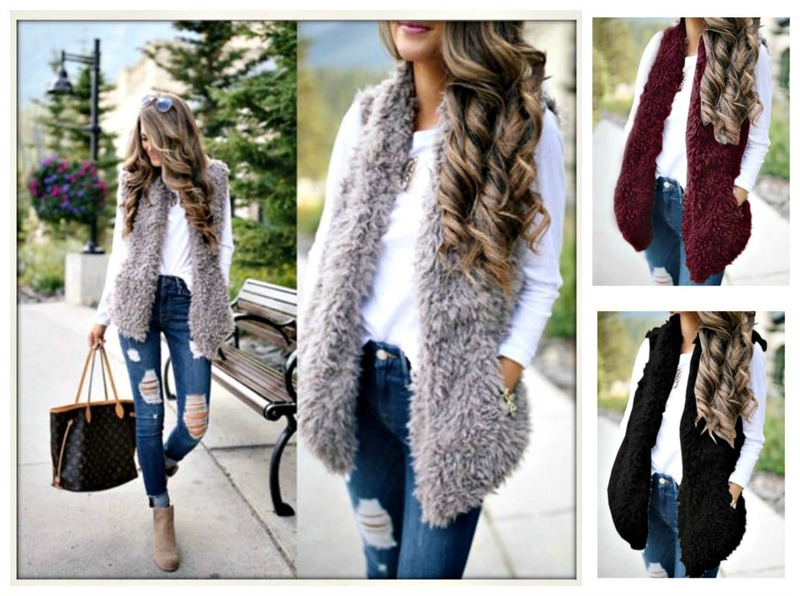 Easily worn from Fall thru Spring. Zipper back makes for easy on and off. 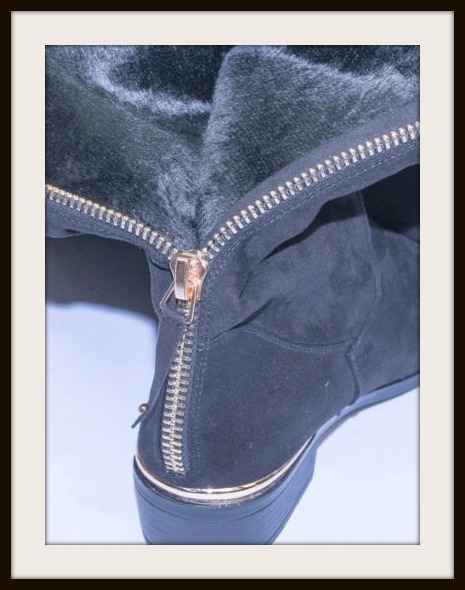 Soft fur lining will help keep you warm. Faux suede. True to size.